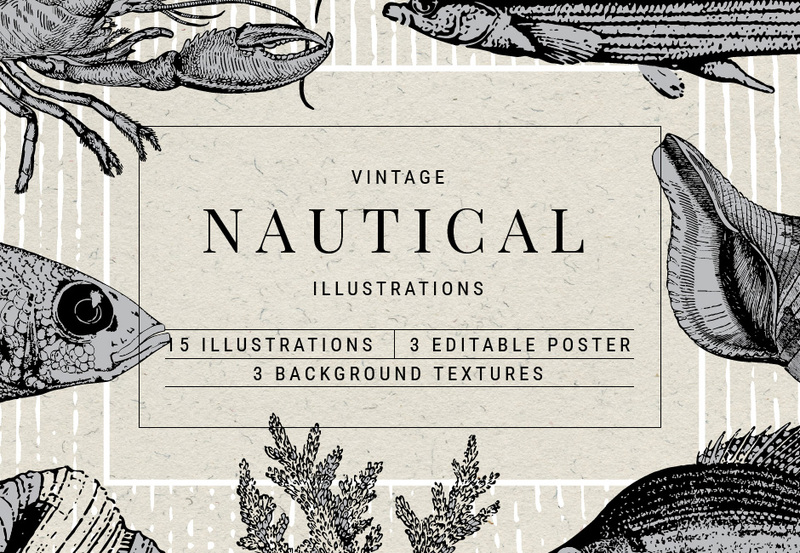 This pack contains a carefully curated collection of vintage nautical graphics, elements and sea creatures. These fish, coral, shell and crustacean engravings will go swimmingly with any number of projects; or any designs where you need to invoke the mystery of the ocean. • Individual elements are set with 100% opacity so you can edit, add colour, re-size and layer over multiple textures & backgrounds etc. Software compatibility: Adobe Illustrator CS1 or newer, .PNG files will work with most graphic software, .EPS files will work with a variety of programs such as Adobe Photoshop or Illustrator, Sketch, InkScape, Affinity, Corel Draw, etc. 3 backgrounds in .PNG format. File size is approx 341MB (435MB unzipped), offered as a single download.